You know I’m all about neutrals, and this time of year the neutral I probably reach for most is winter white. I have soooo many creamy sweaters in my closet, and they all get plenty of wear. 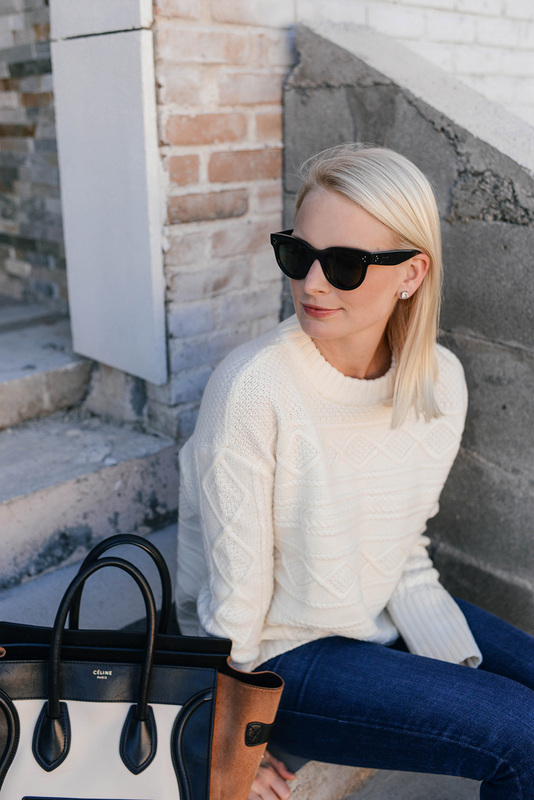 In addition to looking great with every other color in my wardrobe, there’s something so fresh and elevated about a winter white look. 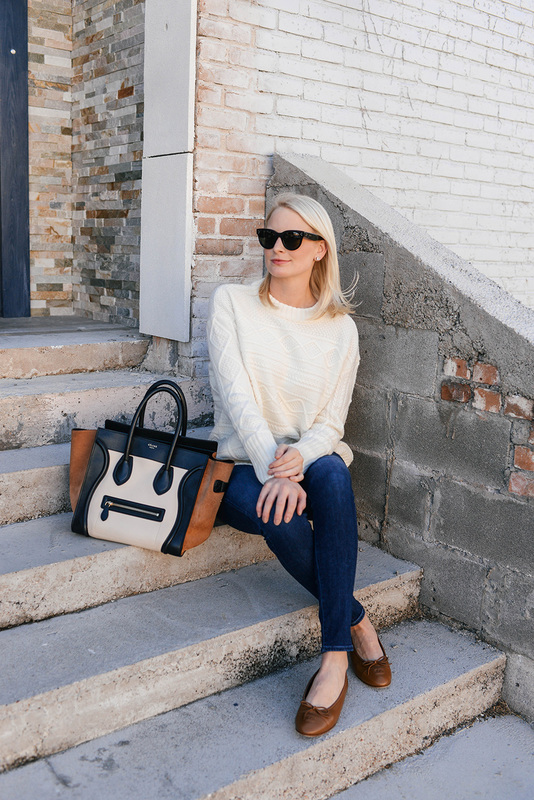 I recently picked up this cable knit cutie from Tuckernuck, and it’s the perfect oversized fit for wearing casually with jeans and flats during the day. If you haven’t been to Tuckernuck lately, you’re missing out on some gooood stuff! Here’s a roundup of my favorite things on site now… and did I mention their big holiday sale launched today?! Enjoy 20% off the entire site if you spend $500+ and 30% off if you spend $1,000+! Exclusions include Canada Goose and Barbour. Enter code GONUTS at checkout and save big on your purchase!! Still looking for a festive red holiday dress? This beauty is under $200 and so much fun! This reversible plaid poncho is under $100 and would make a great holiday gift for a friend or family member! It also comes in this red color scheme! There’s really nothing better than a LBD. The flounce him on this one makes it party perfect! Style it a hundred different ways. If a NYE look is what you’re after, this gold paisley dress is a surefire winner. This black sequin number is another pretty option! Get the Oscar de la Renta look with these red finial earrings. You may have seen them on my SnapChat last week! 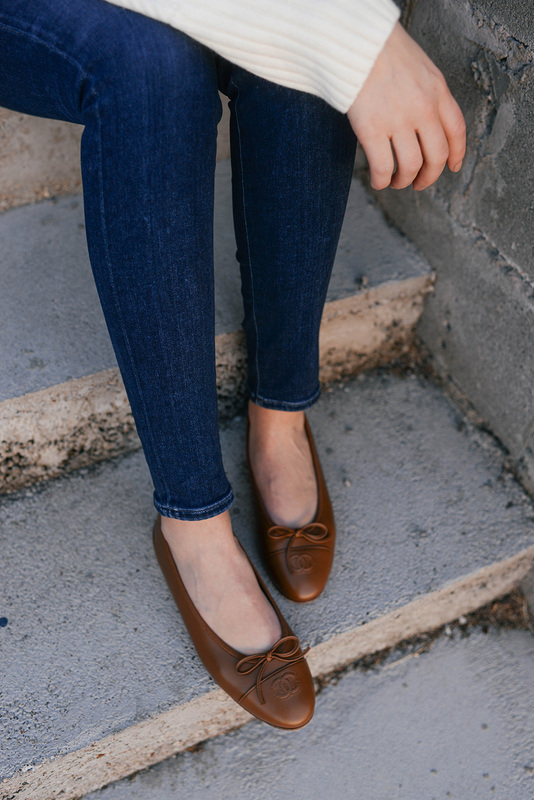 They come in three other colors and are under $90! This plaid scarf is under $50 and features the perfect pumpkin spice color palette! For a cute Christmas Eve look, try this fit-and-flare dress or this lace sheath! Sweater weather is finally here! Stock up on stylish staples like this striped jumper (or this one! ), this everyday turtleneck, or this blouson sleeve sweater! I love this classic style! So cute!